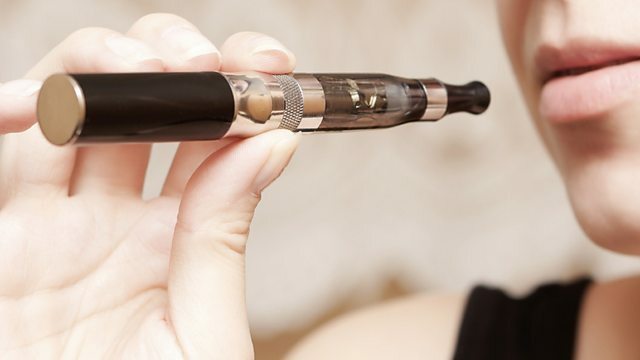 Are e-cigarettes harmless or do you think all public places should be smoke-free? Catherine and Neil listen to a politician and talk about the suffixes -free and -less in this episode of 6 Minute Vocabulary. And I'm Neil. Today we're looking at the suffixes -less and -free. Suffixes are two or three letters at the end of a word that affect its meaning. ...and we'll leave you with a top tip for learning vocabulary. Let's start by listening to Markus. He's a politician and he's talking about his party's policies. Right. So while you listen, think about this question: Do e-cigarettes produce smoke? Here's Markus. We're focusing on the jobless, the homeless, the sick and the elderly - people who are powerless to change things for themselves. We're campaigning for more car-free and smoke-free zones. We're going to extend the smoking ban to include e-cigarettes, which may be smokeless, but they aren't harmless, and we're going to raise the penalties for careless drivers. So we asked you: Do e-cigarettes produce smoke? And the answer is: No they don't. E-cigarettes are smokeless. And smokeless is a key word in this programme because it ends with the suffix less, spelt l-e-s-s. This means 'without'. So smokeless cigarettes are cigarettes without smoke - they don't produce any smoke. And if something is harmless, it doesn't cause harm. Markus said that e-cigarettes are not harmless. In other words, they are dangerous. Markus also said his party was going to raise penalties - or increase punishments - for careless drivers - people who drive without care. Yes, careless means not being careful. So, by adding -less to the nouns smoke, harm and care, we turn them into adjectives. Let's hear some more examples with -less. We're focusing on the jobless, the homeless, the sick and the elderly - people who are powerless to change things for themselves. ...people who have nowhere to live. We can create a noun to describe a particular group of people, by using the word the with a ­-less word. The jobless, the homeless. Lastly, we had the adjective powerless, which describes people who are unable to do certain things. If we add the, we get a group noun: the powerless. Let's have another clip. Listen out for the suffix -free. We're campaigning for more car-free and smoke-free zones. We had car-free and smoke-free. Now if you add -free to a noun, you get an adjective, meaning that there isn't any of that noun, or it's not allowed, or both. Car-free means there are no cars because they're not allowed. Smoke-free means smoking is not allowed and so there is no smoke. And we're talking about the suffixes -free and -less. And Neil how was your journey to work today; stress-free, I hope? Oh, won't do you any harm, Neil. No. It's good for me, I suppose. It is. And contactless credit cards are the cards that work without a PIN number. Usually you use either -free or -less with a particular word. But occasionally you can use -free and -less interchangeably, as in sugarless and sugar-free. These both mean: without sugar. But be very careful with the words careless and carefree because they have very different meanings. ...whereas a carefree person like you, Neil, doesn't worry about anything. No, I don't worry about a thing. Now, it's time for a quiz. Choose the correct word. Ready? Number one: Jack looks scary, but he's actually very kind and gentle. He's a) careless b) harmless c) powerless. And the answer is b) harmless. Number two. Dalya doesn't check her work properly so she makes lots of mistakes. She's very a) careless b) carefree c) contactless. And the answer is a) careless. Number three: To cut the risk of cancer, some people smoke e-cigarettes which are a) smokeless b) smokeless-free c) smoke-free. And the answer is a) smokeless. And that's the end of the quiz. Well done if you got them right. And now, here's today's top tip for learning vocabulary: record yourself saying new words and then listen to them every day. Top tip. And there's more about this at bbclearningenglish.com. Join us again for more 6 Minute Vocabulary. You can download 6 Minute Vocabulary from our Unit 7 downloads page. Remember to subscribe to our podcast version! Many road accidents are caused by careless drivers. People should pay more attention when driving. It's so much quicker and easier now that we can use our phones to make contactless payments. There is only one poisonous snake in the UK. The others are harmless. The flood destroyed their house. They were homeless for several months and had to stay with friends. Many of the jobless today are young people leaving university. They just can't find jobs as so many people are applying for the same position. When the huge wave hit the boat, he was powerless. He could only stand and watch as the boat sunk. In some parts of the city, only smokeless coal can be used in fires, which is cleaner for the environment. I'm on a diet, so I'm only having sugarless drinks. I wish I was on my gap year again - I miss those carefree days, not having to worry about paying the mortgage or getting to work on time. "I'm sorry, sir, you'll have to put out that cigarette - this is a smoke-free area." The journey was completely stress-free. The taxi picked us up at the door and took us straight there. There wasn't any traffic and we arrived early. This drink doesn't have any calories as it's sugarfree. We've had a look at lots of words which use these two suffixes. But how well do you know them? Next is your chance to practise the words from this programme.